The Journal of Social Studies Research (JSSR) is an internationally recognized peer-reviewed journal designed to foster the dissemination of ideas and research findings related to the social studies. 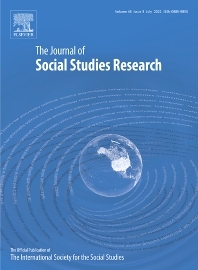 JSSR is the official publication of The International Society for the Social Studies (ISSS). JSSR is published four times per year (winter, spring, summer, & fall).